Sometimes when I work with new novelists or self-published writers, I wonder (and this is awful to say) if they even really like books. Why is it that people are drawn to wanting to be writers? Is the image too glamorized in books, TV, and movies? Is it for the bragging right, so they can say “Yes, I have written a book? It is right there.” Is it because it seems simple to do since we all know how to form a sentence thanks to public education? Has self-publishing companies done too good a job ruining the myth that writing is a skilled craft? What is it that draws people to take on this art, resulting in a congested market and thousands of badly written books finding their way onto amazon each year with badly made covers on photoshop? Since I just talked about a broken record, let’s start with this one. And this one spreads over a few different aspects. A scene that doesn’t go away- Coming up with new ideas can be hard, and maybe it is the difficulty of doing that for each chapter that is the trial, but this comes up a lot. This may be like, for example, each time two characters talk they are walking to the same coffee shop or sitting at the same table. Two times is fine, but when it happens more than that, it is a problem. This repetition happens a lot more than newbies realize. Sometimes they are floored when I point this out. Or it is around the characters- Giving a character a “quirk” is fine, but when this “quirk” is repeated in the narrative and the dialogue again and again, it gets painful for the reader. TRUST your readers, please, they will get it. Let me give you an example of what I mean: I recently read a book where an author gave a character a favorite TV show. It was discussed in the narrative, the character talked about it, we saw the character watch it, and others talked about the character liking it! OK, sounds cute? It’s always cute at first. And I just described four instances here, times that by another four and the cuteness dies away pretty fast. It’s like you are at a bar on a date, know when to say when so you don’t start sounding like an idiot. Recommendation- Create a “word cloud” of your first draft (There are a lot of free Web sites that will let you do it). See what comes up a lot. Is that intentional? Good characterization is an art unto itself. There are subtleties in making characters stand out from each other that can’t really be taught, per se, it is learned by reading a lot of books and watching real people. The problem is that when an author doesn’t take the time to breakdown each major and minor character in their book, a blandness around their characters emerge that they probably don’t see coming (or might not see at all unless someone points it out). But that is not a crime. Stereotypes ARE a crime. For in a stereotype, chances are you are insulting someone, somewhere. And who wants to do that? Frankly, using a stereotype is an easy out. It solves a problem quickly, but it doesn’t give that character the energy they need to stand on their own two feet; since they are standing because of another’s misconception. Yet, more personal, I have read stereotypes in many works and usually they can, unwittingly, share an aspect of a writer’s personality or beliefs that they didn’t want to share. On the few occasions I tried to work with an author on this, there is shock and then a great concern on how they will fix the problem. You can usually see their mind racing behind their eyes as they are overwhelmed with the idea of starting from scratch with a character and also that that part of their own belief is in full view (which they may have thought to have been hidden away). By the way, this stunned expression of panic is not as humorous as one might think, it’s a little sad. A big part of the art of writing is in the rewriting and editing, and that idea of going back after the first draft can feel like a great burden to a newbie. It is for this reason that I am convinced that the self-publishing market is filled with first drafts. Recommendation- Sometime during the first draft break down each character with bullets. What makes them tick? Maybe even show these breakdowns to other writers? If, for example, you are using a generalization (“He is a typical southern white boy” for example) to describe a character you have a stereotype right there. Stop it! This has never been a problem for me since I was a huge fan of radio dramas and did much of my early writing around radio (see The Dante 3 page for more info on this blog). See, in radio you learn to make your characters all sound different. I’m not talking about giving everyone a different accent; no, my friends, this is more subtle. This is about voice; what words are said, how sentences are structured, how a character begins a thought. Like I said, subtle. We all have unique voices. Find the “crazy” in your mind and bring out those voices. If your characters all sound alike, then you are rushing the process. Writing a book is not a fast process. Give your characters time to breath and find their own voices. We will all thank you for it. Recommendation- Go to a busy coffee shop and listen to people. Try listening to radio dramas. And, best of all, when a work is done, ask friends to read the characters out loud to you like a theatrical reading. Do they sound different? You know how in Monty Python skits where now and then a general or the audience will shout “Get on with it!”? Sometimes I wish I had the power to do that with books. Is this problem caused because new writers want to reach a certain page length? Prove that their work is a lot more than a short story or novella? (And, to be honest, I’ve read many a novel that should have been just a short story.) Whatever the case, it creates a painful experience for the reader. How do you know a writer is dragging it on for the sake of some inner ruler? Well, let me give you an example. I had one novel writer I read who, for no real reason, decided to walk the reader for twenty pages through a baseball game. Did the game say something about the character? No. Development? No. Even plot? Nope… He just wanted twenty more pages. At least that is how it felt to me (But that book was filled with examples of that; it should have been a short story). Books are supposed to be meaty, a little heavy in the hands… Sure… But what is more important is a well-written story, not the look of a good-sized bound copy on a bookshelf. Focus on the story, people! Recommendation- This is easy. If a chapter or scene doesn’t affect the plot or main characters, DROP IT. So why did I begin this editorial by saying I sometimes think newbie writers don’t like books. Because, honestly, if you are an avid reader, your brain (like a sponge) will take in lessons about storytelling without you realizing it. And yet, I find that basic stuff (like the four points above) keep happening again and again. It is enough to make an English major weep. This entry was posted in Writing and tagged Authors, Books, Characters, Creative Writing, Fiction, First-time writer, How to write a book, Literature, Monty Python, Novel, Novelist, Plot, self-publish, Short stories, Voice, Writers, Writing advice, Writing mistakes by Scott D. Southard. Bookmark the permalink. I’ve seen the one voice issue trip up even more mature writers, and don’t get me started on its felon sister characters-as-the-author’s-mouthpiece-for-theme-and-info-dumping. All dialogue should be able to pass the “would a real person actually say that outside of a tenth grade drama class” test. Or how about the pointless conversation-at-the-kitchen-counter scenes intended to ‘build characterization’. Urg! I’m so glad you are agreeing with me about this post and these issues (I should have said something about kitchen counter scenes! haahaahaa). While writing this article I was worried I would come off as a literary-type snob. But these are mistakes! And people are making them…. Yes, I am a literary snob, but I don’t want to be seen as one. That’s not cool. One person’s literary snob is another person’s discerning reader. Plus, I really can’t talk–I run a book review blog. It doesn’t get much snobbier than that! Glad you liked it. These are the obvious things to avoid, I have a few other editorials where I go a little more in detail on writing and creation. A search should bring some up on the page. I also wrote a few essays on writing for another’s writing blog and the links to that is on the About Me page above. Cheers! I like the word cloud idea! A similar idea is to make a mood board. A visual collage. Helps tighten the big idea. A mood board is a great idea. Thanks! Excellent tips on word cloud usage and listening to people in real life or on radio programs. Even well-established authors seem to suffer from the repetition problem sometimes. I guess it is hard to notice as the writer, but very hard to miss as the reader. A good content editor is always necessary! I’m glad you liked my editorial. I’ve written quite a bit about books and writing, and have a few of my own out there. For this editorial, I think my biggest struggle (that maybe I should have brought out more) is that their is a lot of artistry in editing and fine tuning a book, and I think a lot of self-published writers and newbies get their material out there before it is really ready (assuming it can someday be ready). They get excited, the first draft is, honestly, the most fun to write. 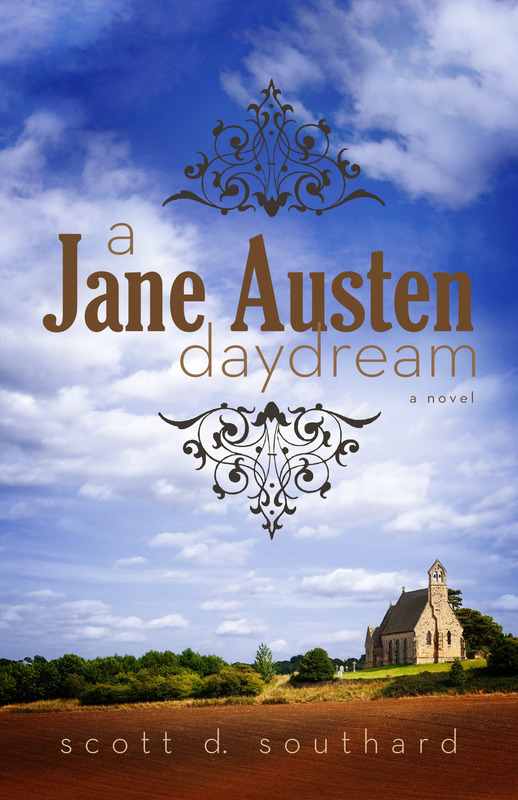 Right now my focus (and a lot of my writing) is around trying to lock an agent or publisher for my book A Jane Austen Daydream, which is a retelling of Jane Austen’s life as one of her novels (filled with characters and references to her novels; as well as a very post-modern twist). Its been interesting to share the process of query letters and the rest. Usually, when I work with new writers I try to tell them to give their book five or so years of trying to find an agent or publisher before going down he road of self-publishing, but I have to admit they don’t always listen. I really admire self-published authors because they are their own company. They are business owners and to some degree trailblazers. I think the problem comes when authors don’t treat their ventures like a business. They may fall in love with a product that is not ready for market and forget to put on their “CEO hat” and make the tough decisions. I’m really happy to see so many posts, blogs and websites devoted to helping self-published authors because I’ve actually found some of my favorite books scrolling through less-known names on Amazon.com. A Jane Austen Daydream sounds interesting and I see you have links to it. Headed there shortly. To say that I love Jane Austen would be a horrible understatement. I’m interested to see a new take on her. I hope you don’t think I am anti-self publishing, far from it; I just think a writer needs to try the publishers and agents first before going down that road. There is more success there, more chances to make an impact on the audience. Live the writing dream, I guess. People complain about literary gatekeepers, but writers need editors. My two books I had published a while back, were better works because of the editor I worked with at the publishing house and the agent that represented the works before that. I truly believe, seeing the focus on more marketable and pop lit coming from publishing houses over the last decade that there is a chance the great new voices in literature may be hidden in self-publishing. Of course, there is a lot of writers hidden out there. I like to think I am hidden too sometimes. heeheehee. The problem in self-publishing is congestion really, and what it takes to be found in the ocean that is amazon.com and the like. I do admit, sometimes I think some of the choices that self-publishing authors have to market themselves is just an avenue to talk to other self-publishing authors. I don’t know many readers that seek out self-published works as compared to what is on the New York Times Bestseller List. Self-publishing can be the easiest choice and the hardest; it is all based on how much the writer wants to work, because no one is going to force them to do anything. Oh, and I hope you like Jane Austen Daydream. It was a passion project of mine ever since I got the idea so long ago. I had been working on it off and on for almost seven years. (I talk about this a bit in the introduction to it). When Green Spot Blue (a literary Web site) started sharing it last year, I had some great responses from the Jane Austen community. I walked away definitely assured that there is an audience out there for the work, with almost a fan base for the work already firmly in place (It was shared on quite a few Austen sites and twitters, and I had a few interviews around it). I’ve often thought of what it would be like for Jane Austen to have a slightly different life story. I feel that some of the dialogue in Persuasion, for example, is probably the most beautiful use of words I’ve ever seen. It saddens me that she didn’t have more of that in her real life (from what I know at least). I think your blog and comments are very helpful to writers of all types and that self-published authors, along with traditionally published ones, can use the advice and the thought you clearly put into it. Since it’s highly unlikely that traditional publishing will ever accommodate the full supply of talented writers out there, I think it reasonable that authors choose to pursue other avenues. Either way a writer goes, he needs a professional editor and he must take his craft seriously. Excellent post, agree with it all. Sometimes I read the work of a fellow independently published author and I think, have you not read this back? Do you not understand what re-drafting and editing is? How can you think this is ready for publication? I’m right with you about the pointless detail, too – if I wanted to read a book about the history of rural Japanese poetry, I’d buy one. I was trying to explain this to someone a while back – when you watch a film, every piece of dialogue, every scene, every action is relevant to the plot, and it should be so in a novel, too. But I think that some unpractised self-published authors become self-indulgent. I think it’s okay to meander slightly if the passage is still entertaining, but so often it is, as you say, just a padding out, and just gives the reader a whole bunch of information for which they didn’t sign up when they bought the book. Ho-hum. Thank you for this response. It’s always nice to know I am not alone in my experiences out there in the literary world. I’m really glad you read the piece and posted this comment. Cheers! The lesson that I took from the experience was that the main problem with being a newbie novelist is affection for a new achievement. Its incredibly difficult to step back from it.The only answer seems to be to treat a first novel as a training exercise, get an objective view and carry on studying the skill, including taking advice wherever you can get it. Reviewing other new writers work is perhaps the only way to recognise your own faults before someone else does. There is no excuse for bad writing, but I cant help having empathy with all newbie novelists and their collective ugly babies. 9 years after I finished my novel, I still haven’t gone back to it. Thank you for writing. I have two first novels, one completed, one abandoned. Calling them practice is not a bad thing. It’s like…you’re watching me write my first novel. This is a great article. I love that you gave ways to fix it. I would add that is isn’t exclusive advice to newbies and self-published titles, (although I think it has further drowned good writing) there are books that sell so well and have horrendous writing. Sure, not all books have to be a literary masterpiece, but published books SHOULD have good writing, character building, a believable plot and NOT have every physical detail about a character, little nuances that add nothing to the story, the mandatory best friend to add contrast. 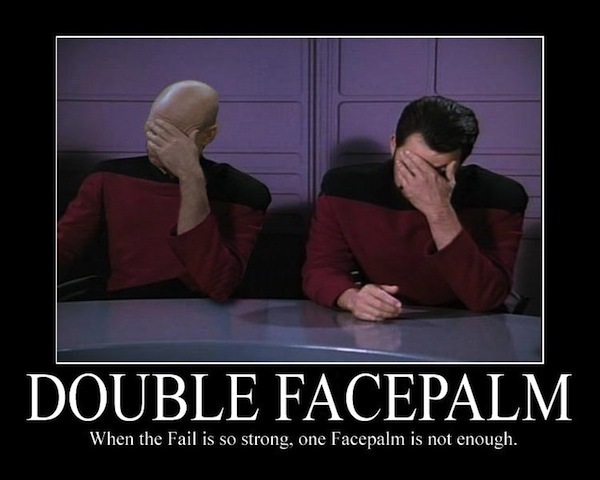 It truly disturbs me that people could hate a classic yet give 5 stars to Fifty Shades of Grey (true story). It’s as if people miss the beauty of reading. That all sounds pretty good, although its so hard to step back from your own work and be objective. The only thing I didn’t understand from the comments was the kitchen counter conversations thing. I feel like sometimes it’s ok to have conversations that don’t necessarily further the plot, but reveal more about characters. I was reading a novel recently where two characters were just hanging out getting to know each other, it didn’t really progress the story but it gave insights into the characters. In particular it showed you some aspects of a character who we know turns out to be a killer. Is this “wrong”? I wouldn’t worry. every book is different. And it sounds like the Conversation does reveal something, So does serve a purpose. It’s all good. Thanks for reading! I have recently self-published a crime-fiction novel. I did this, and I presume I follow most self-publishers here, as I found the process of locating an agent/publisher impossible. Therefore I agree, the market has opened the door on an un-regulated and un-edited mass of text. That said, this is no different than the musician who is now able to record an album in his bedroom and make it available for download on the web. This too, has resulted in mountains of musical drivel but has also discovered some masterly work. With regard to the editing process, I do feel that the author is the worst person to complete this task, just as a musician should rarely mix their own album. Both are too close to the subject matter. Unfortunately, the self-publisher or bedroom musician can little afford to pay for this service. As you point out, to return to your manuscript with impartial eyes daunting and difficult. One thing I didn’t note in the article, but I believe in many ways is I am a better writer and editor not only because I read a lot of classics, but also because I studied literature and writing on the college level (I have a BA and an MFA). It’s like, if you want to be a painter, you need to go to a few art museums and take some classes; or if you want to be a piano player, go to some concerts and take lessons. It really comes down to, I think overall, how serious the new writer wants to take their manuscript/book they are working on. If they want a great book, they need to pay the “dues” as it were. For me, I’m about to finish a draft of a new book I am writing live on this site, Permanent Spring Showers (not exactly a smart decision on my part, but a fun challenge). I plan to walk away from the book for about a month, and then begin the editing process then. I’ll probably be working on it off and on for a few months before I attempt to find an agent or publisher for it… That’s assuming none of them contact me (Fingers always crossed). I am a newbie novelist, as you might say, writing in the fantasy/sci-fi genre. I was wondering if you might have any recommendations about how to proceed with publishers and agents, as I am finding the entire process quite overwhelming. You said that for a newbie novelist you would recommend first trying publishing houses before self-publishing; failing that, what might the benefits be to self-publishing? Is it a viable option for those that are having difficulty getting their manuscript published? Or would you recommend either re-examining the work and modifying it, or perhaps beginning another project altogether? Any advice you can give would be greatly appreciated. Thanks Sincerely. Your questions have inspired me to write a post today. Check out my blog later today for my response. Cheers! Especially true with the repetition bit – even down to the word or phrase level. It’s one of the first things I’ll heavily mark up when editing another’s work, as it drives me nuts when I do it in my own (easy to do when you’re on a roll!). Differing character voices is something some writers do tend to have trouble with, but I think it’s something that can come naturally if you only take the time to consider who and what the character is outside his or her purpose to the story. Exactly, and like I said a lot of the art is in the editing. Different voices can find there place many times during that process. Really good, well written article. Some great tips here for all of us! Thanks! I’m glad you liked it. Cheers! Have you read The Bat? I feel like there are numerous chapters which do not advance the plot but rather demonstrate the amount of research the writer has done on a particular topic which seriously is only of peripheral interest, and all the stuff about Australia?…well I live here. I know it.The Bat has, according to the cover, sold 14 million copies. Who cares about the rules? What makes a book popular? Does it have to be good? I enjoy your articles Scott. Keep up the good work. The Bat? I’ll have to check it out. Thanks for reading! As a self published writer I do it for the fun of it, I don’t expect to make money. However, I would like to recover what I’ve spent for editing. Editing results are sometimes teaching moments for mistakes like those you describe and I have learned from that. But self publishers are self because of the overhead, the costs, and that unique blindness where writers see what writers write, not what is on paper. Thanks for reading and good luck with the books. All my best! Wow, painful, frank and I think very honest. I am a newbie and I’ve been an avid reader for years, however I’m sat here sh*tting myself that I haven’t made any of the cardinal sins of above…gulp! Thanks for this great article. As writers we don’t often think about these things until someone makes us conscious of them. Now I’ll be thinking of them while I’m writing. In retrospect, I do struggle with many of the things you mention above in my own writing. I don’t feel I have a problem describing different personalities through facial expression, body language, likes and dislike, etc. My problem is voice. Not accents and such, but dialog. With my new self-published book, Someday Always Comes, it pained me if I felt characters spoke too similarly during dialog exchanges. For instance, if there’s 3 characters and they all give a verbal response to something shocking…say, they stop on the side of the road to investigate a bundle of something and find a dead body. How will each of the 3 different characters respond in dialog. We can only say “Oh, $hit!” in so many different ways. Thanks for writing. Definitely consider trying the reading idea for voice. It really helps. Cheers and good luck with everything! Keep writing! Good advice! I have been working very hard to give my readers credit for being intelligent enough to “get it.” I have to work at not telling them too much, too often. I’m sure I’m still guilty, but when I finish a novel, I go back through it and look for the things you mention. It helps to see someone else put these things in a list as you have done. Keep it up. Remind us as often as you need to. LOL. Glad to help & good luck with the books! I think Scott is right, but getting an editor or agent to lower his gaze from ceiling level is an art form! I think I just might have trapped one though so keep an eye on: https://butlersfolly.wordpress.com/ for developments – and thanks very much for the advice! Thanks, Scott. You, and your commenters, raise some good points. I think part of the problem with new authors (and I throw myself into that lot) is a need to get everything out and perhaps a lack of confidence. Editing out the flotsam and being ruthless about it can be quite a task, but it’s worth it to produce a polished piece of work to be proud of. Oh yeah, editing is hard and painful. But if it wasn’t the writer was doing it wrong. You see, it’s articles like that make Twitter worth having! Great article, Scott. Thanks for sharing your experience!. Cheers! Glad you liked it! This is all so interesting to me as I love to read and wander into books. I can’t even think how much energy goes into writing a book. I have 2 friends that have written books. They are both awful. It’s the immaturity in the writing that makes the reading so difficult. It’s the grandness of what being an Author means to them that drives them towards writing. You need to be talented in this field and they are not. Ok, so I really liked A Jane Austen Daydream. Great ending wish it was for real. You gave me alot to think about. Thank you . Go Jane!